PennsylvAsia: Chinese movie Explosion (引爆者) opens in Pittsburgh on Thanksgiving. Chinese movie Explosion (引爆者) opens in Pittsburgh on Thanksgiving. More thriller than actioner, and influenced by stylish art cinema more than Hollywood, it starts off with quite a bang. In the claustrophobic bowels of a mine, a blast goes wrong and sends a flaming fireball racing through the shaft in a brief but effective disaster scene that leaves four workmen dead and the audience hungry for more. Duan Yi-hong . . . is gritty and glammed down as experienced blast technician Zhou Yu-dong. 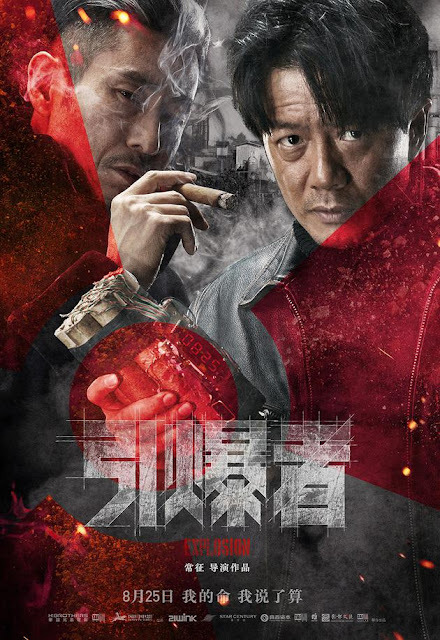 He's stunned and injured by the explosion, but instead of rushing him to the nearest hospital, his gangster-boss Li Yi knocks him down for screwing up, then throws hush money at him. The four victims, who are seen only from their burnt feet, are quickly buried. Zhou is too expert not to smell a rat. Exiled from the mine, he moodily hangs around a local eatery run by his eye-catching girlfriend . . . until he makes up his mind to investigate what really happened. The movie plays in Mandarin with English subtitles. Tickets and showtime information are available online via Fandango. The theater is located at 300 West Waterfront Dr. in the Waterfront shopping complex in Homestead (map), across the Monongahela River from Greenfield, Squirrel Hill, and the rest of Pittsburgh.